Chris & Kevin are ready to talk about the WWE. Did Randy Orton repeat his same promo from the previous week? Why has he not been inserted into the match between Jeff Hardy and Shinsuke Nakamura? How jarring was it to see enhancement talent on Smackdown Live taking on the Bludgeon Brothers? Which of your hosts expected Cesaro & Sheamus aka The Bar, think would be the next ones to take on the Bludgeons? Has New Day managed to push past the flaws in their characters? How well is the Becky Lynch and Charlotte story line playing out? Will Carmella sneak away with the SDL Women’s Championship after that match? Did the WWE do the right thing to make the Samoa Joe vs AJ Styles feud “personal”? Will these claims follow Styles after this feud? The guys move along to talking about the main event feud between Brock Lesnar and Roman Reigns. Has Lesnar turning on Paul Heyman finally gotten people to cheer for Reigns? How many times can we say that Ronda Rousey is really picking up pro wrestling quickly? Chris & Kevin then talk about All In since it’s only a month away. Will Cody be breaking his promise about the length of the show? How big were the announcements about coverage? Will WGN America start carrying pro wrestling in the near future? Chris closes out the show by talking about New Japan‘s G1 Climax, which is, um climaxing. Who is left alive? Who will move along to the finals? As usual, last but not least is the Bell Time Beer of the Show. 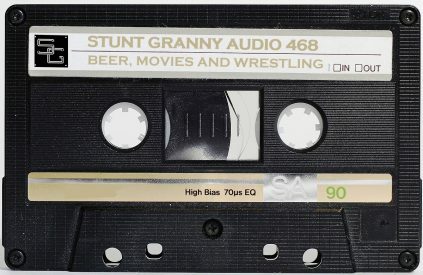 Click the link below to listen to some pro wrestling goodness.